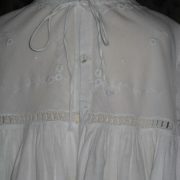 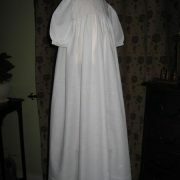 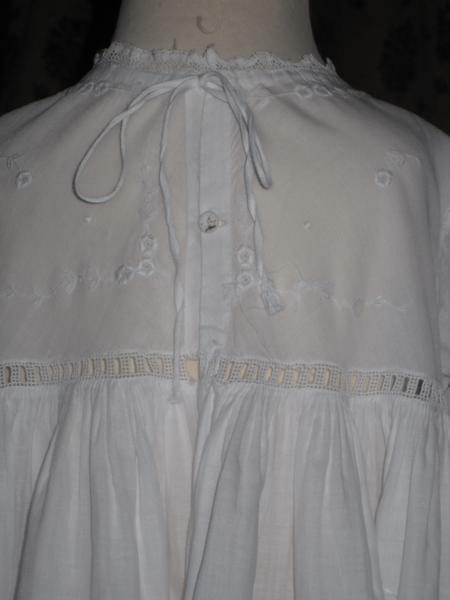 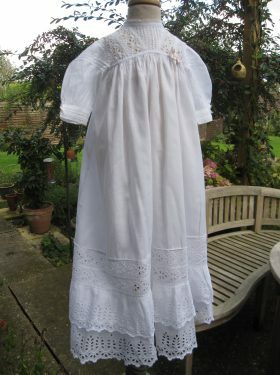 It is very rare to find an antique christening gown in absolutely perfect condition but this is what we have on offer here. 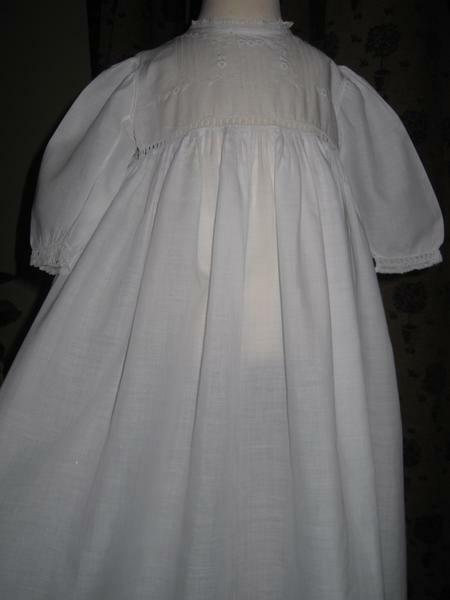 This delicate white Edwardian Christening gown has been created from the finest cotton lawn which allows it to drape naturally. 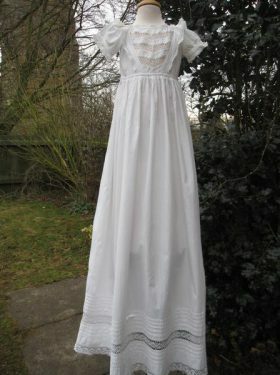 The bodice has dainty hand embroidered detail which gives a fresh feel to the gown. 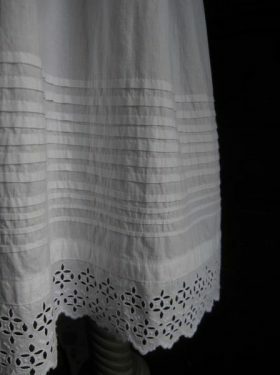 The full skirt is long and decorated at the hemline with delicate hand embroidered scallops. 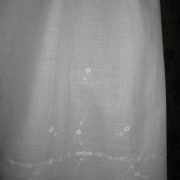 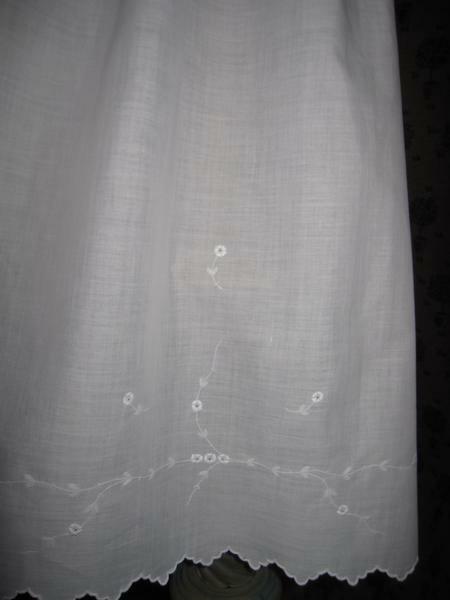 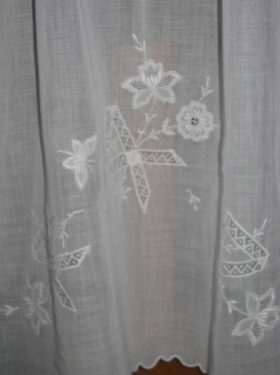 The front of the skirt has the most exquisite hand embroidery to match the bodice. 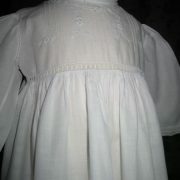 The gown closes at the back with three original buttons. 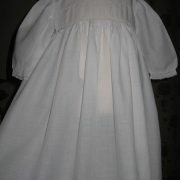 This gown is ideal for either baby boys or girls. 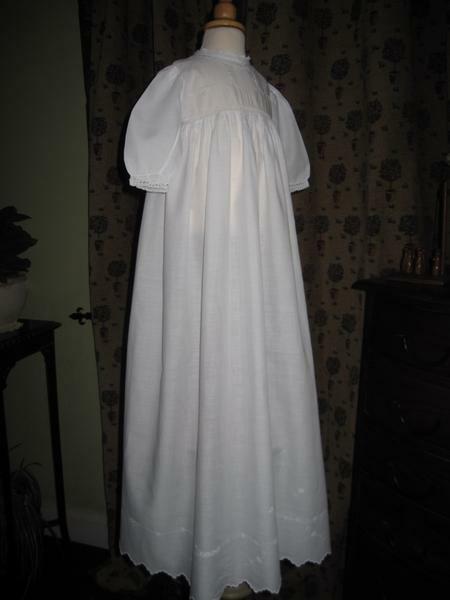 It is advisable to wear this gown with a petticoat. 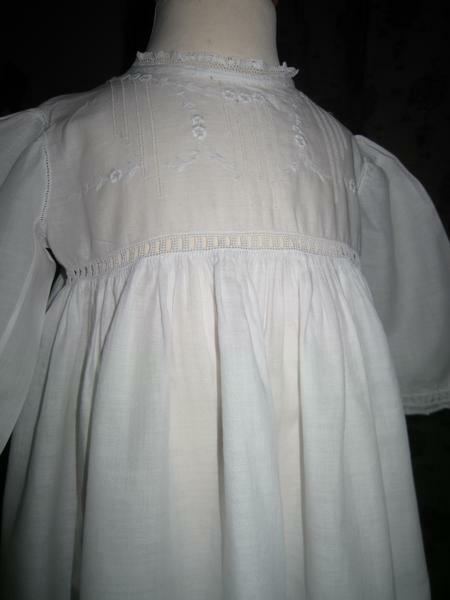 An absolutely lovely example of the sophistication of the Edwardian era.